Murray Hardyhead is a species of small freshwater fish, native to inland parts of south-eastern Australia. They were once widespread and abundant in the Murray and Murrumbidgee river systems in southern NSW and northern Victoria; however, they have suffered a serious population decline, and now seem to be limited to a few sites, mainly in northern Victoria. There are very few recent records of Murray Hardyhead in NSW. Murray Hardyhead grow to about 76 mm in length. They range from silver to dark gold in colour, with a pale silvery belly and a silver mid-lateral stripe. Their eyes and gill covers are bright silver, and the top of the head and snout are slightly darker. The scales are almost circular, and barely overlap. Murray Hardyhead are similar in appearance to several other closely related species. 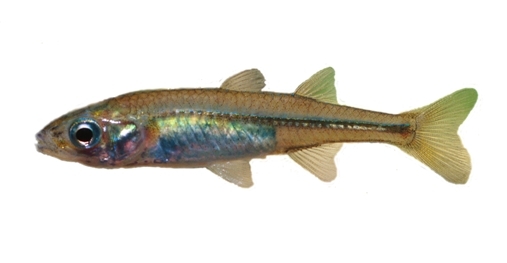 Small individuals of any of these species can sometimes also be mistaken for Southern Smelts or Eastern Gambusia.